Is The Home Video Studio Business Opportunity Right For You? Take a few minutes and listen to our audio book: How to Start and Run Your Own Home Video Studio Business. While you listen, let the world around you stop for a short time and consider what you really want to do with your life. What is important to you? Try to push out all of the noise - the chatter - the clutter away and find a good place to listen and learn about running a video production business. You can also download this program or request our information packet with the audio book pre-loaded in an MP3 player. Both of those options are great especially if you want to listen in your car or truck. 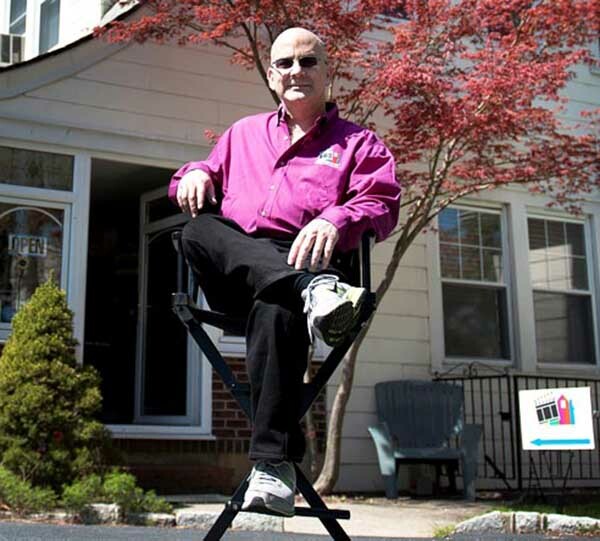 You'll hear how Robert Hanley started his first video production and transfer services business and how Home Video Studio became the hottest video editing and transfer business in the country. This book will help you get some clarity on what home based business you would like to own. Hopefully it will answer the question: What do you really want to do with your life and career. We think origins are interesting and inspiring. How did other people start their own video business? You don't need any experience in this business to get started. We have found that almost everyone is creative in some way. Are you doing video as a hobby right now? Perhaps you have done some video editing or video productions for family or friends. Home Video Studio can turn your passion into your profession. You may be in IT, management, a teacher, or some other profession. You may even be semi-retired. You may have dabbled in the video arena. We'll help you make the transition from what you do now into this exciting video production and transfer business. We will put you into your own successful Home Video Studio business. You can start part time or full time. Watch our video: Home Video Studio Owners Speak. You may find that you have a lot in common with our other Home Video Studio Owners who started their own video production services businesses. Imagine yourself owning and operating your own video production services business. Take a look around your home. Where do you see your studio? Will you put it in a spare bedroom or the den maybe the basement or attic? Some have converted their garage or built a dedicated space in their back yard. We have options for retail locations and offices. Home Video Studio is a creative video business so our footprint fits many places. You can also run your new video business from a retail outlet or office. When you start thinking of your own Home Video Studio you'll start drooling over the studio video production equipment and video editing software. This is a fun business and outfitting your new studio is like Christmas morning! You'll be thinking about video editing software, computers for video editing, cameras, steady devices, rigs, sound gear, lighting, drones, quad copters, etc. We're going to help you select the right studio package with the correct video equipment and then teach you how to make money with video in your Home Video Studio. Every Home Studio Package includes our Home Video Studio business and studio system: our methods of marketing, advertising, sales, production, operations, and, of course, training for video production and editing on that system. We have spent years developing our Home Video Studio packages. Literally hundreds of hours have gone into design and engineering. You will find that each system is very user-friendly. We offer three (3) turnkey studio packages: The Director, The Producer & The Executive Producer. Each studio package has our exclusive signature Home Video Studio Edit Desk. It's like the Star Ship Enterprise!